Summer 2015 was all about pie. Bev and I decided that our friend’s wedding was the perfect opportunity to demystify the folk art of pie. Real pie. With butter measured in units of “cornmeal” and “pea-sized chunks”, tactile intuition, and the best of Washington’s summer fruit. Trading actual recipes for three months of trial and error, we made a lot of bad pies before there were good pies. But they came, all sixteen, for Andy and Lauren’s wedding on a steamship in Lake Union in late August. Baking so explicitly as an act of love forced us to embrace all of the tired cliché surrounding pie and just go for it. We love you, please eat this. Along the way, we futzed around with this book by Kate Lebo, which is precisely the result you’d expect when a poet writes a cookbook. 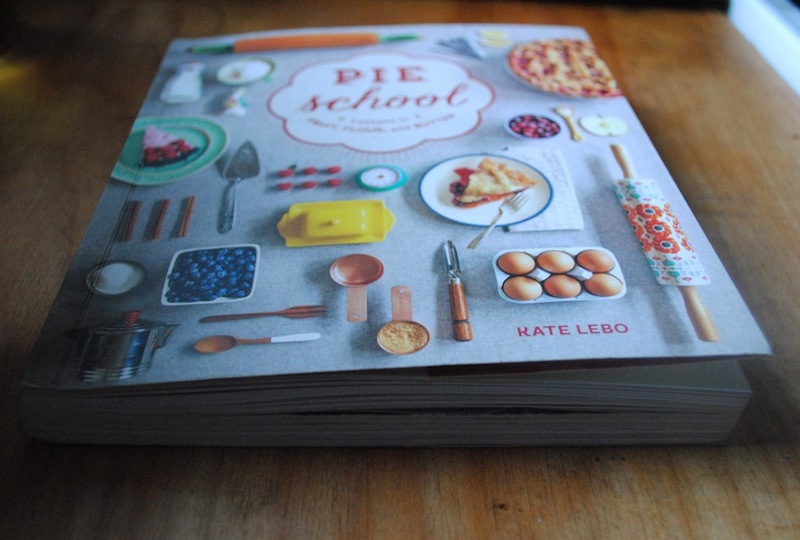 Pie School is part rumination on pie as a symbol of kitschy domesticity in American culture, part recipe index, and part practical stuff. Like what to do with all the leftover pie dough trimmings. 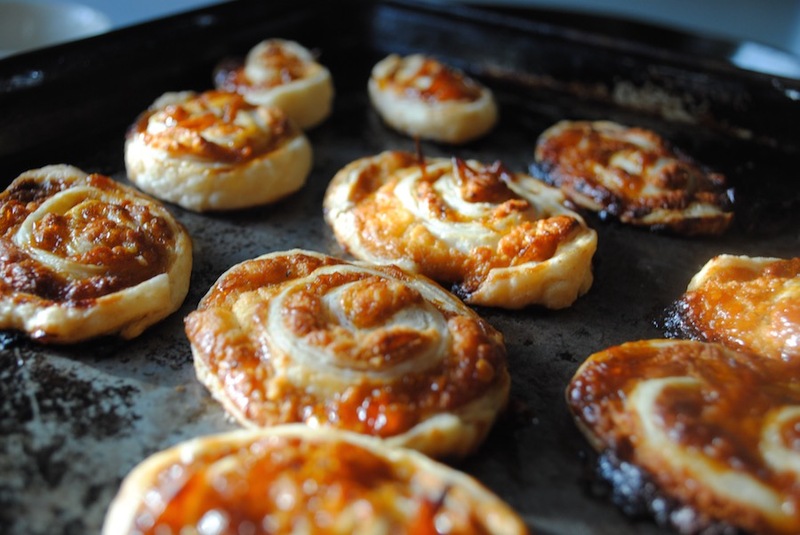 Someone invented the pie dough cheese swirl. Which could also be rugelach (as Lebo suggests) or tiny cinnamon rolls, or whatever else you want to do with leftover pieces of unused pastry dough rolled out and brushed with fillings, shaped into a log, and sliced into impressive-looking discs. With summer still holding on, I took out the jar of sun gold tomato jam in the fridge, and some soft farmers cheese. Any type of savory or sweet spread and spreadable cheese would do. The result was something like a pizza bagel bite that had collided with a danish. 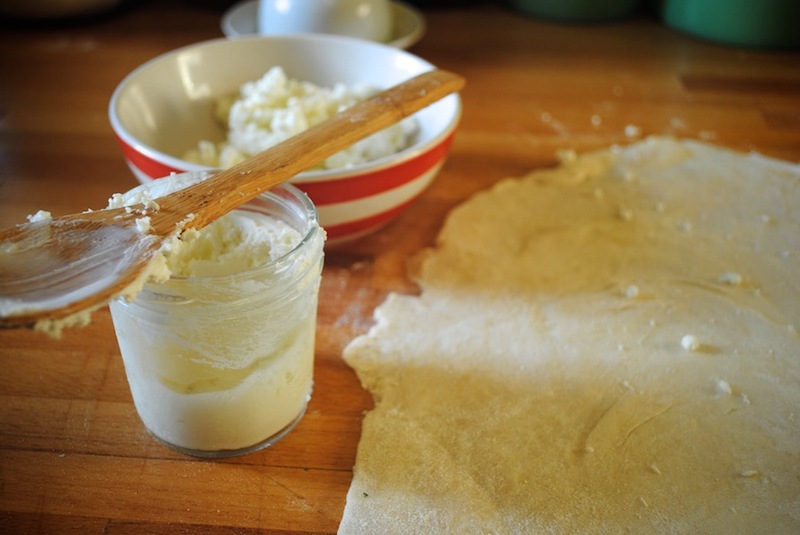 Gather pie dough trimmings into a ball. 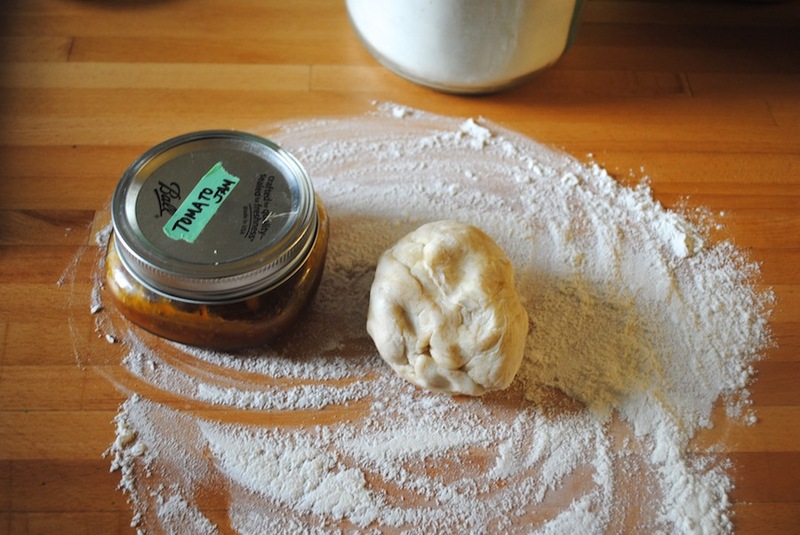 Even though you’re not using it as such, it’s still pie dough, so you’ll need to stick the ball in the fridge to harden up and make it easier to work with. 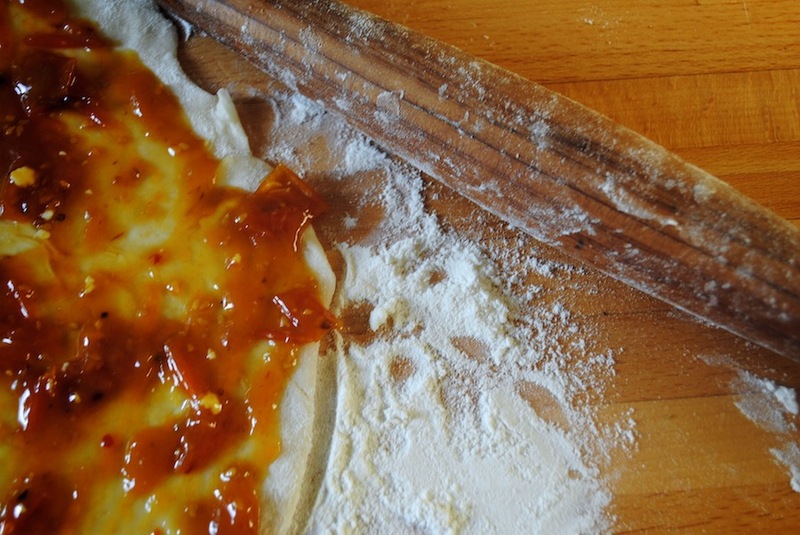 Roll out as you would for pie, and spread the jam or preserves evenly across the sheet in a thin layer. Crumble cheese over top, and finish with cracked black pepper. Roll the dough into a log, and place back in the refrigerator for 30 minutes. When the log is firm, slice into discs about 1/2″ thick (a serrated knife helps!). Bake for 25-35 minutes depending on the size of the pastries, until crust and cheese begin to brown.